L-R, skip Kelsey Rocque, third Danielle Schmiemann, second Holly Jamieson, lead Jessica Iles, alternate Kristen Streifel, coach Amanda-Dawn Coderre. TALLINN, ESTONIA –The Canadian men and women are bringing the 2015 World Junior Curling Championships gold medals back to Canada. TALLINN, ESTONIA – The Canadian women’s team will join the men in playing for the gold medal at the 2015 World Junior Curling Championships. TALLINN, ESTONIA – It wasn’t pretty, but we’ll take it! 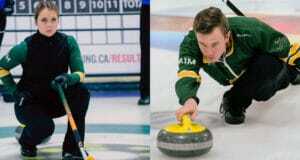 The Canadian men ousted Switzerland in the 1-2 Page playoff game Friday night at the 2015 World Junior Curling Championships. 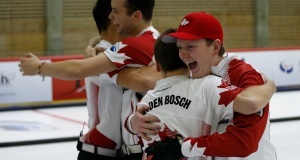 TALLINN, ESTONIA – It was a big day at the Tondiraba Ice Hall for the Canadian teams, as they both won their respective matches to clinch a berth in the 1-2 Page playoff games at the 2015 World Junior Curling Championships. 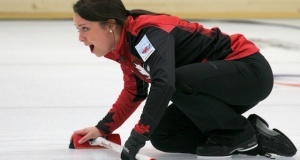 TALLINN, ESTONIA – Edmonton’s Kelsey Rocque and Winnipeg’s Braden Calvert have secured playoff positions after Wednesday’s round robin games at the 2015 World Junior Curling Championships. 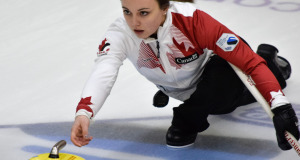 TALLINN, ESTONIA – Kelsey Rocque remains at the top of the leaderboard with a perfect 5-0 record at the 2015 World Junior Curling Championships. 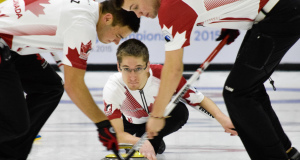 TALLINN, ESTONIA – The Canadian men have found their groove after picking up another win on Monday to improve their record to 3-1 at the 2015 World Junior Curling Championships. 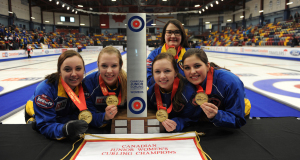 TALLINN, ESTONIA – The Canadian women are on a roll after posting their second win of the 2015 World Junior Curling Championships. 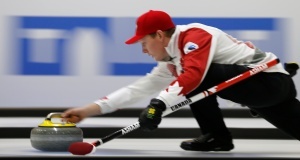 TALLINN, ESTONIA – The Canadian men pulled off an 8-3 win in the rubber match against Norway, the 2014 World Junior bronze-medallists, to open the 2015 World Junior Curling Championships. TALLINN, Estonia – Our newly crowned Canadian junior champions will take to the ice on Saturday at the Tondiraba Ice Hall in Tallinn, Estonia, for the 2015 World Junior Curling Championships. CORNER BROOK, N.L. — Kelsey Rocque will once again be trading in her Alberta Wild Rose for a Canada Maple Leaf.